On Saturday, May 12th, I participated in the first ever SweatCon Rally NYC. Prior to this one in NYC, there have been three SweatCon Rally events held in Boston over the last three years. Sweatcon Rally is a one day fitness event that kicked off with a check-in party and fitness lounge at the new NEO U in Midtown, followed by three thirty-minute workouts back-to-back at different studio locations in your chosen area. At the check-in party and fitness lounge, guests picked up their swag bag (filled with samples from Progenex, High Brew Coffee, RX Bar and more) and SweatCon Rally tank top, and enjoyed a GLAMSQUAD braid bar, lunch from Dig Inn (one of my favorite NYC eats - the food is amazing! 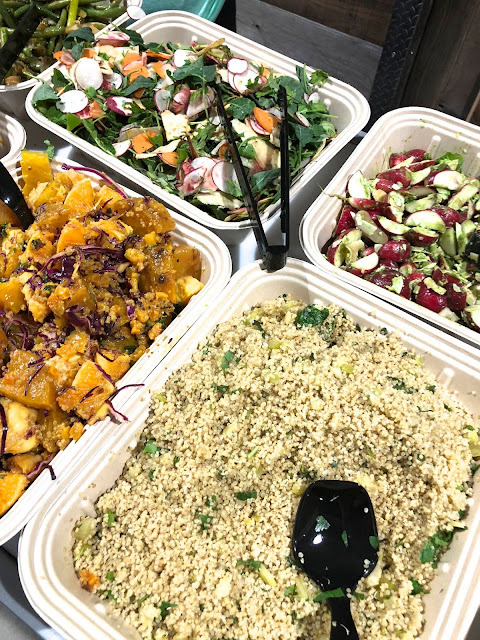 ), Vita Coco water bar, juice bar sampling at NEO Cafe, MINDBODY animated GIF booth, music by DJ Malyna and 30% off Reebok in-store purchases. This was the first time I had heard about and checked out NEO U and I definitely would love to go back and take a class or two there. After the party, I made my way to my workouts at Yoga Vida Union Square, Spiderbands® and Shadowbox. 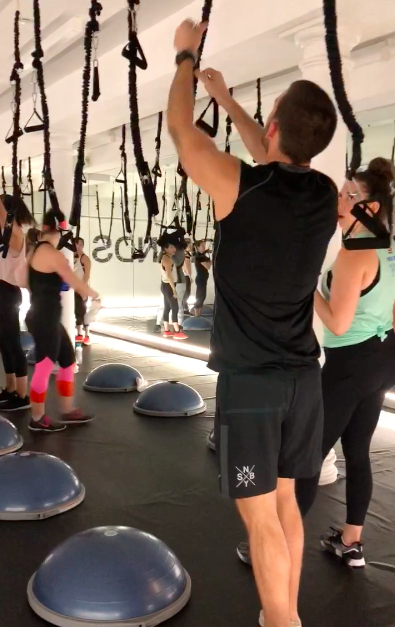 I chose the Union Square fitness group because I really wanted to try out Spiderbands®, which is a cardio resistance workout that leverages gravity & body weight and makes you feel like a superhero. 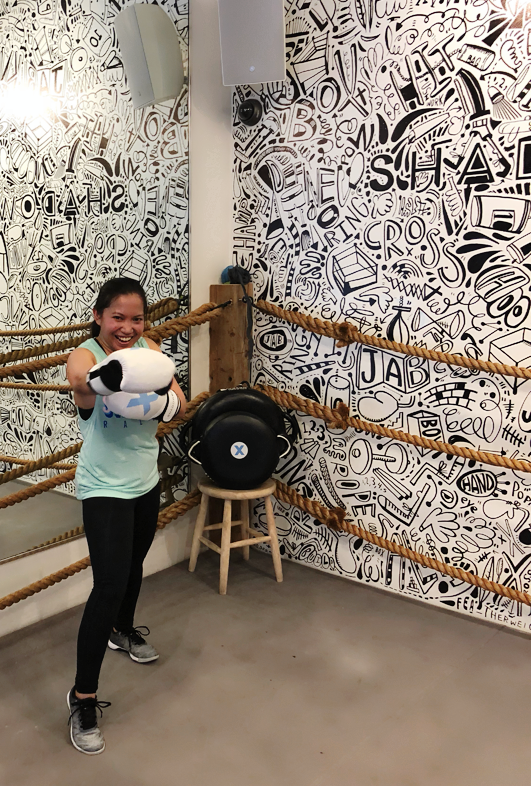 The Spiderdome® class was super intense - the cardio resistance and aerobics mix was non-stop, and was tough for me since I have poor upper arm strength. It was definitely a struggle for me to use and keep up with the higher bands, especially since I had to jump up on the bosu in order to even reach them. I do want to go back and try the Spider Jumpstrike® and Spiderkix® classes. Shadow Box was amazing too! That was my first ever boxing class and I think I am hooked! What I liked was that there was a lot of freestyle, so you can throw your own punches/combinations, and I liked that that the room was dark and the music was loud. I'll admit, I didn't think I was going to be able to make it through all three classes but I survived it! I was definitely exhausted by the end so I'm glad the party was before and not after the classes! 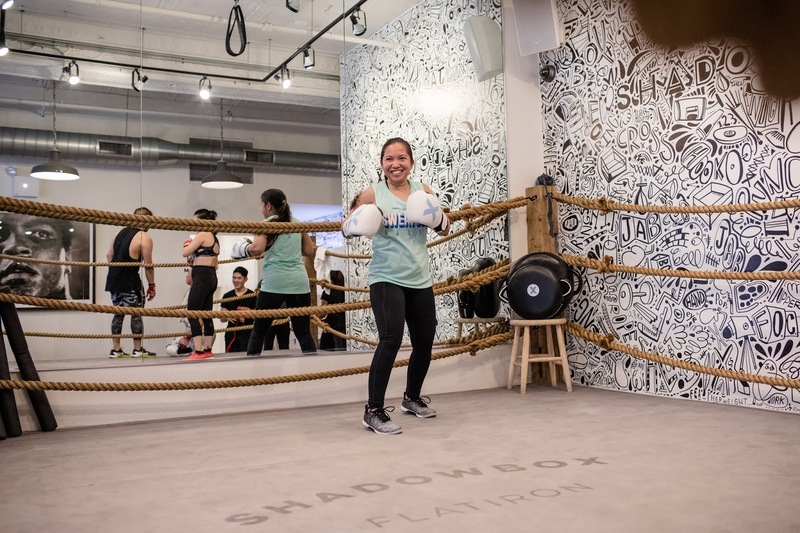 SweatCon Rally allows you to try out new workouts and new studios. The schedule itself is full of recommendations for studios to check out on your own long after SweatCon Rally is over. 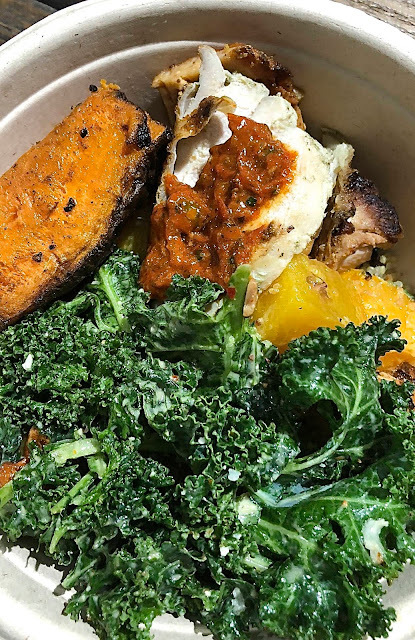 I'm glad I had time to eat lunch from Dig Inn and drink plenty of regular water and coconut water because I couldn't imagine getting through the day without all of that! If you decide to participate in a SweatCon Rally, be sure to get to the check-in party on time so you have enough time to experience everything! Although the studio locations were walking distance from one another, you had just enough time to get to each class. Thank you Sweat Concierge for having me! 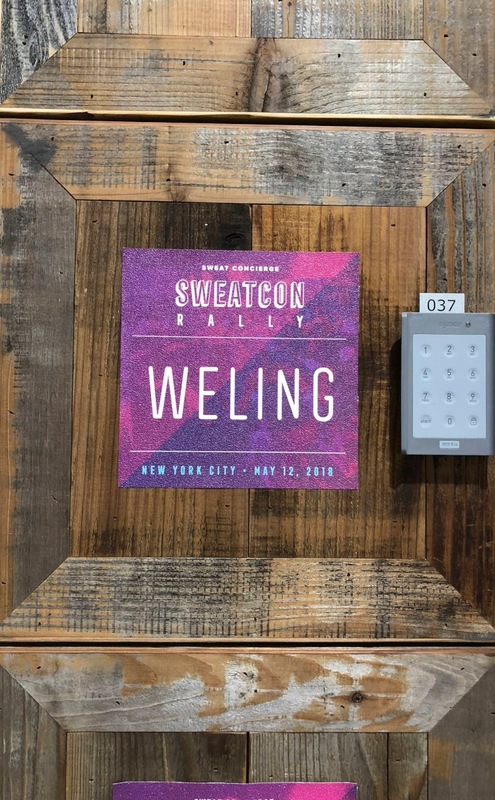 I'm looking forward to the next SweatCon Rally in NYC! Until then, you have inspired me to keep trying out new studios and workouts! SweatCon Rally Washington, D.C. is up next on June 16th! Thank you Sweat Concierge for preparing a locker for me with my SweatCon Rally tank top and MINDBODY water bottle! Thank you to Sweat Concierge and Reebok for my new spring Speed Her TR Training Shoes! 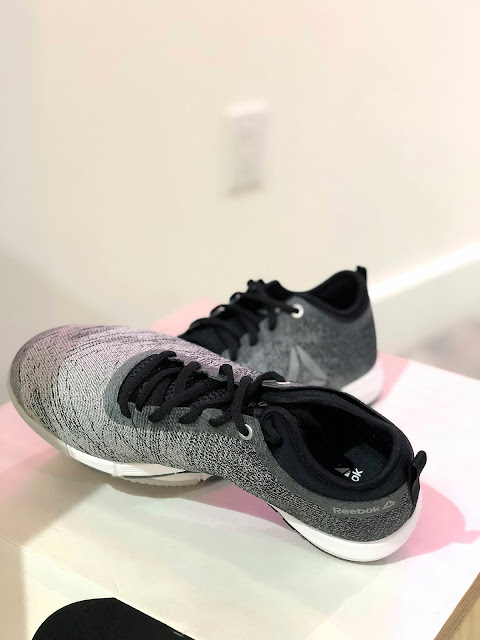 They are extremely comfortable and lightweight, and have great cushioning and support!